The first day of my birthday getaway went so well, I couldn't wait to dive into the second. I read about glass blowing and sculpting before but it was amazing watching it live and actually participating in the activity to create a beautiful piece. Every time I pass my room, I stop to admire the glass flower I helped make. It's so colorful and pretty. It's an amazing experience. The next day we planned for some outdoor fun and drove to Watkins Glen State Park on Seneca Lake (one of the Finger Lakes). 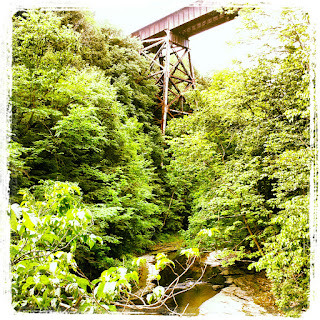 It's a great place for hiking, camping, walking trails and picnics. I love the outdoors...but I'm a scared cat when it comes to camping. We decided to do a bit of hiking and enjoy the beautiful scenery. We packed a backpack with all the necessities and made our way to Gorge Trail (one of the most scenic and longest trails in the park). It took us away from all the hustle and bustle of the town and made us one with nature. A nature full of streams, springs, waterfalls, cool breezes, tall trees, flora, and occasional bugs. The Gorge Trail is about 1.5 miles long and it roughly took us 3 hours to reach the end and head back up. I was expecting rugged paths but it was totally different. We hiked on a 'manufactured pathway, through chiseled tunnels, and over mortared bridges' (as stated on the park's website). Above are a few more shots from our adventure. 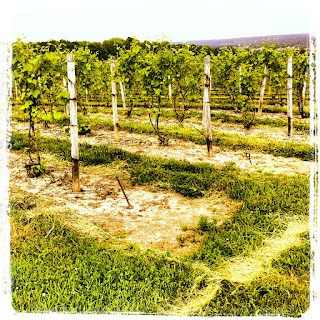 After the hike, we decided to have lunch at a nearby vineyard and maybe do some wine tasting as well. Fun!! First we went to Lakewood Vineyards where we had to choose from two categories of wines: Flight A (Dry Whites & Dry Reds) or Flight B (Semi-Sweet & Sweet). Our group opted the latter one. Out of the ones we tasted, my favorites were Niagara 2010 and Vignoles 2012 (their best selling wine). After wine tasting, we took a stroll along the vineyards and enjoyed the nice breeze before heading to the next another place for lunch. Onwards to Castel Griech Winery where we enjoyed German cuisine. We stayed in the wine country until early evening and headed back to our hotel. We headed back home mid Monday morning to beat the holiday traffic and I have to say we got really lucky with traffic. We whizzed through with minimal delays. Overall, I must say I enjoyed myself quite a bit. It was just what I needed to get away from the norm. I would recommend more people to venture out into New York State. There's so much to do and see. I can't wait for my next visit...NEXT ADVENTURE!! - Pack bug spray, sun screen and water for the trails. - Get a head start by going to the park early and beat the crowd. Also check the weather so you don't get stuck in a downpour. 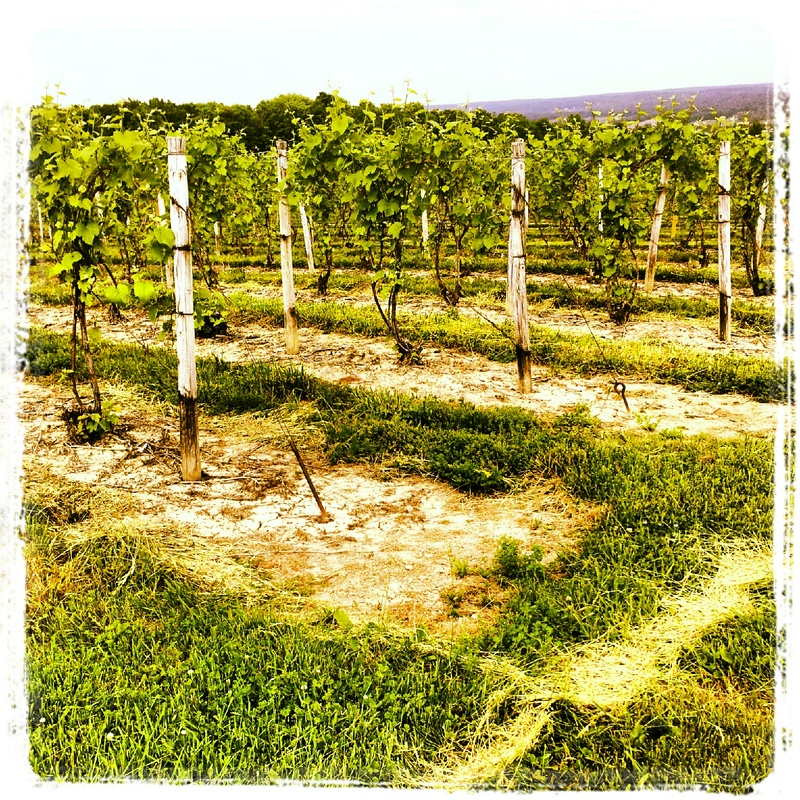 - There are about 30 or so vineyards along the Seneca Lake Wine Trail (Finger Lakes Region). Do your research and make a weekend of it. Each place charged a minimal fee for wine tasting. Oh and the wine pourers are friendly and fun. It felt great supporting the local brewers.